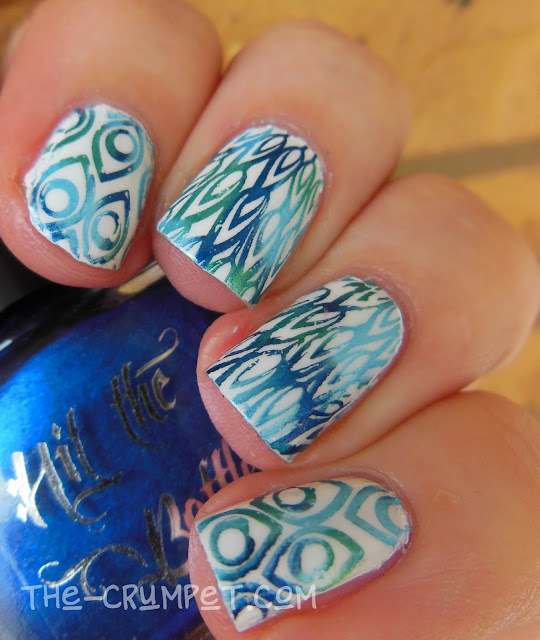 One of my favourite bloggers of the last couple of years has been Michelle, of Break Rules, Not Nails. 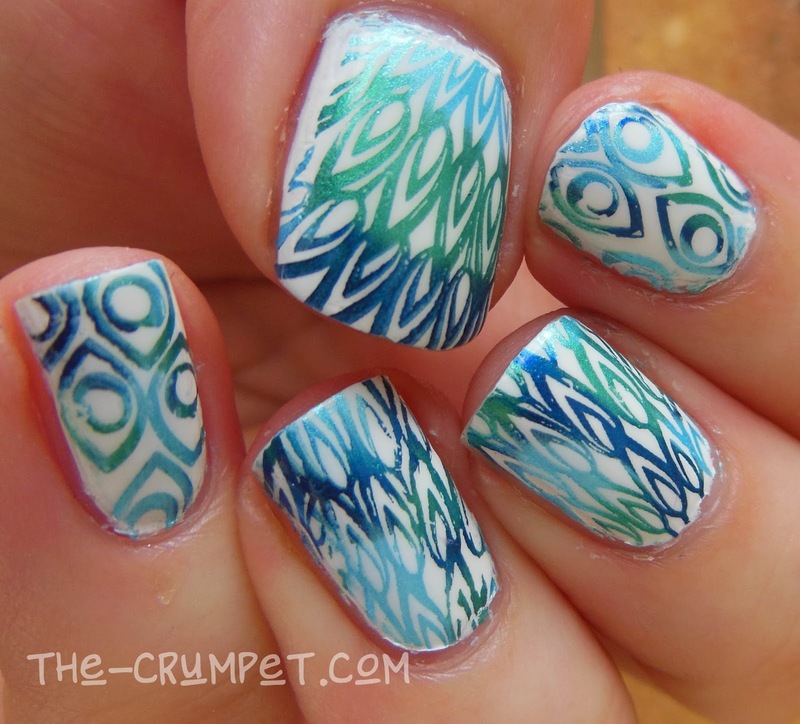 Gloriously inventive, and just a little bit off the wall, she always took my breath away with her nail art. 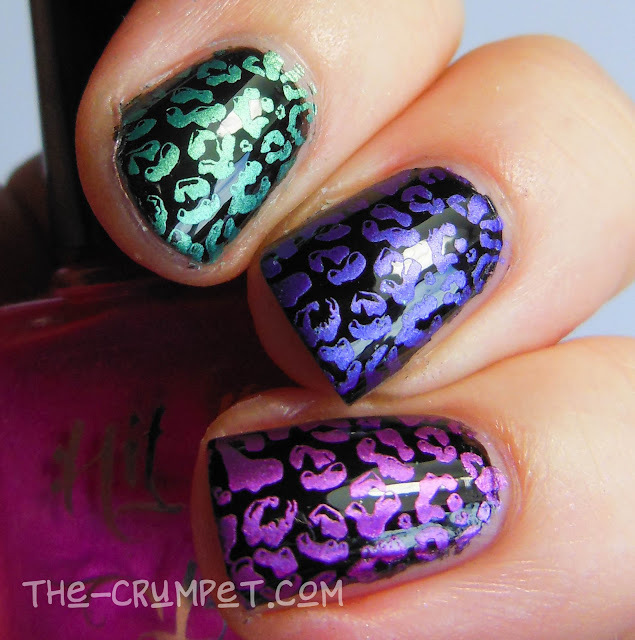 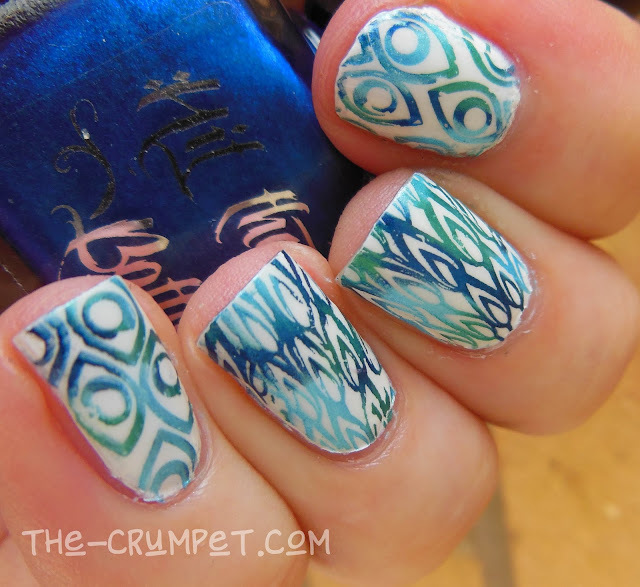 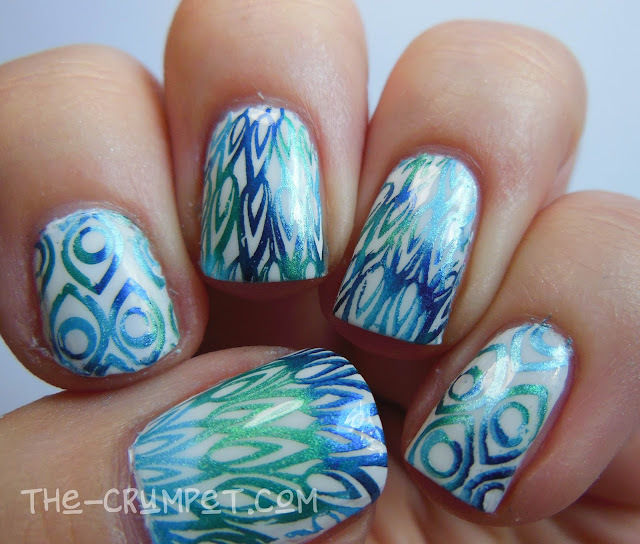 She's now branched out into polishes - stamping polishes - and I was lucky enough to receive 5 for review. I'll identify the polishes now, and then talk you through the nail art. 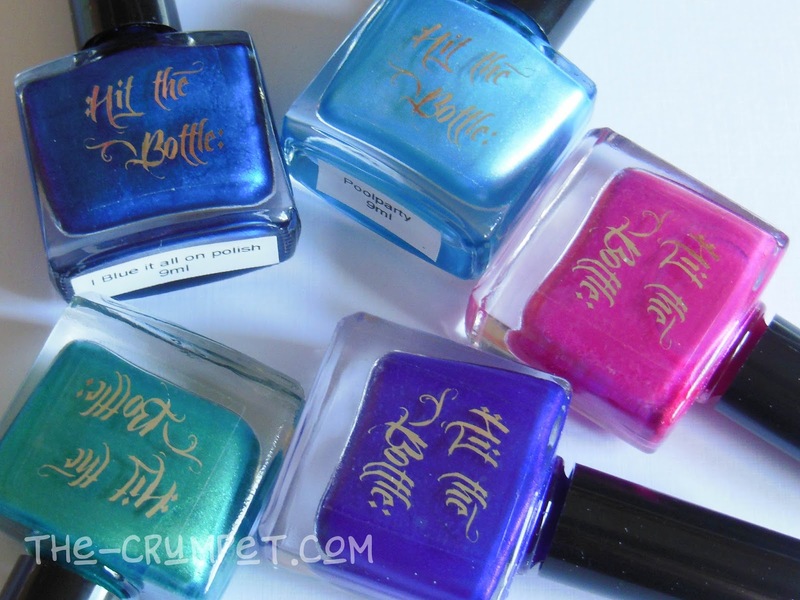 These polishes are 5-free. 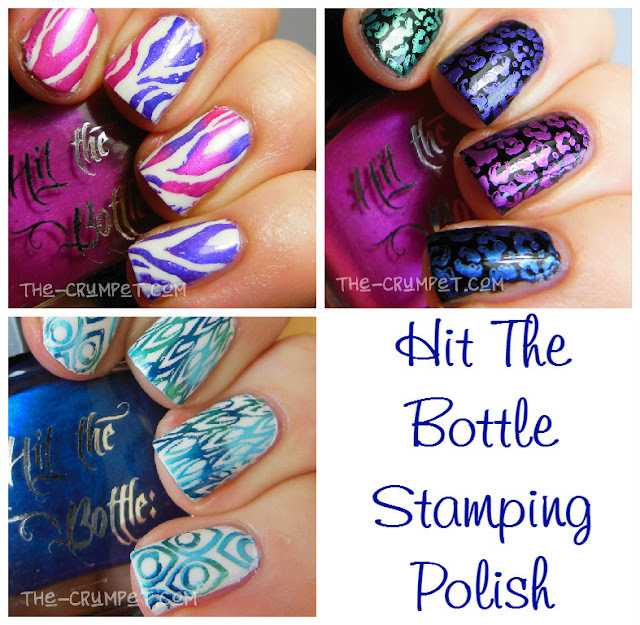 They each come in a 9ml bottle and spread really well - a little goes a long LONG way. 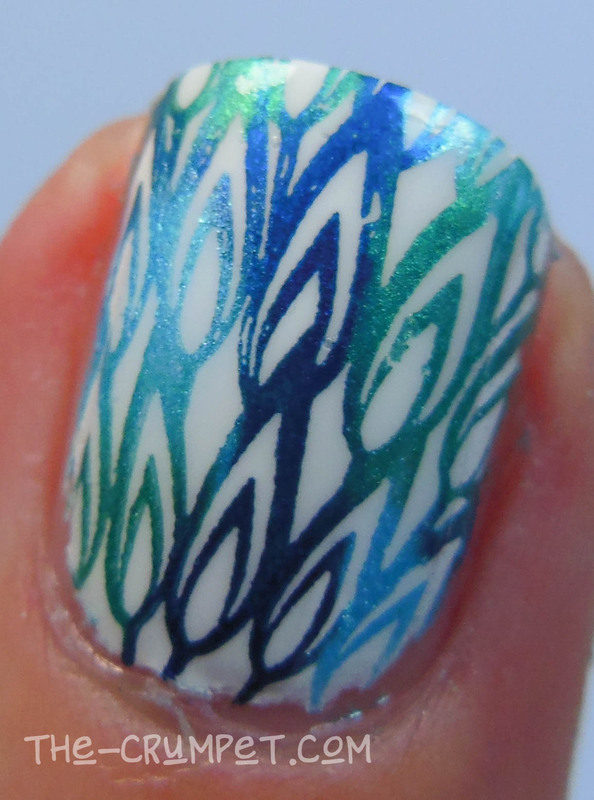 They are metallic, but not overly so, and as you can see on these photos of my stamping mat, they smoosh beautifully together. 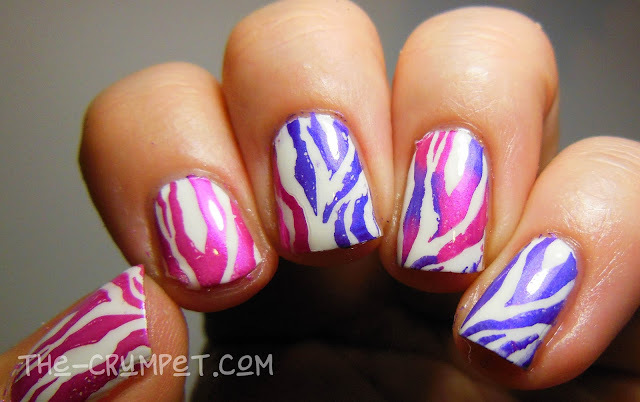 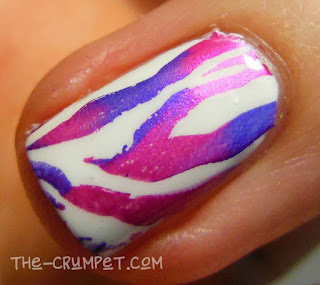 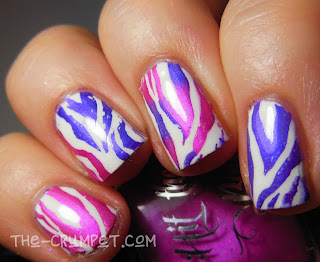 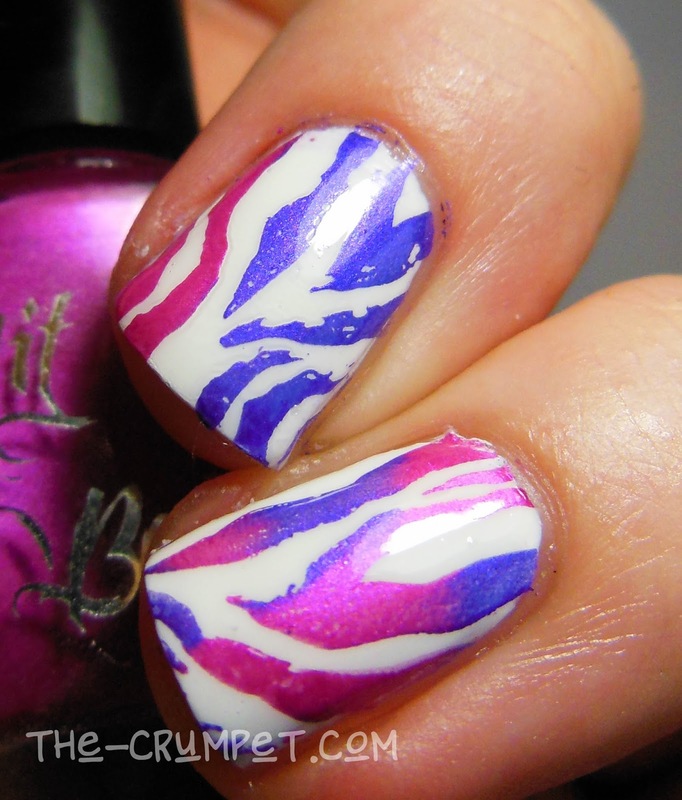 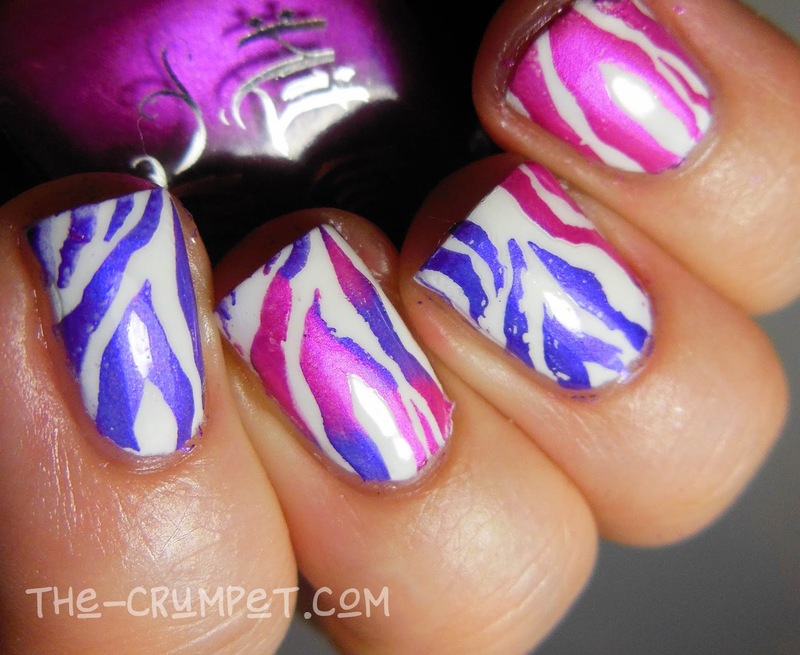 First of all I used the pink and purple for this funky tiger-stripe design using BM-XL08. 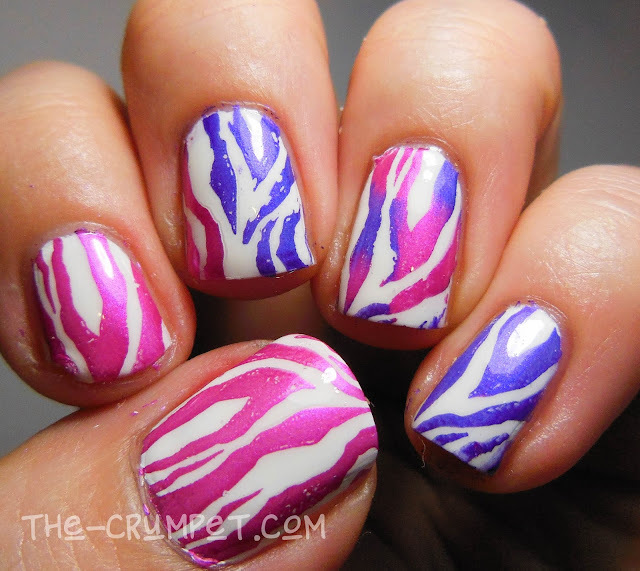 My favourite nail is the smooshy ring finger. 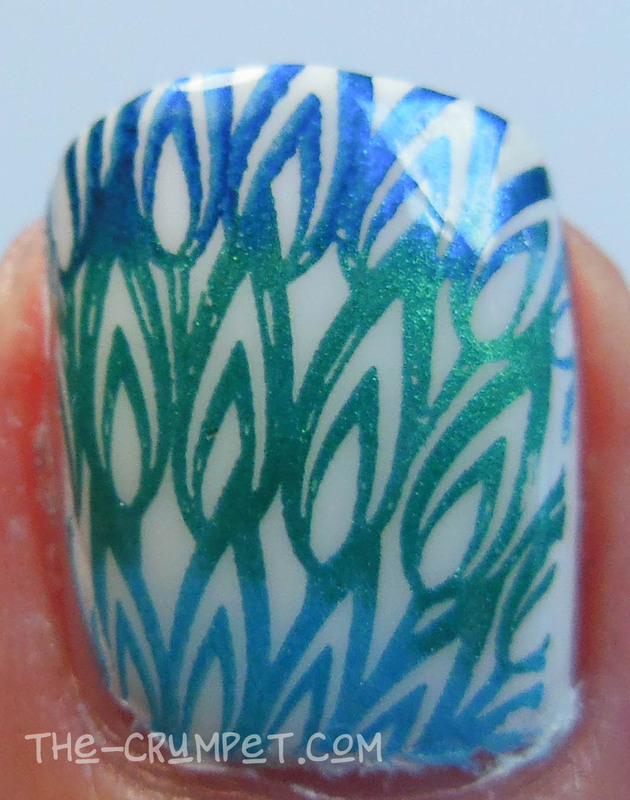 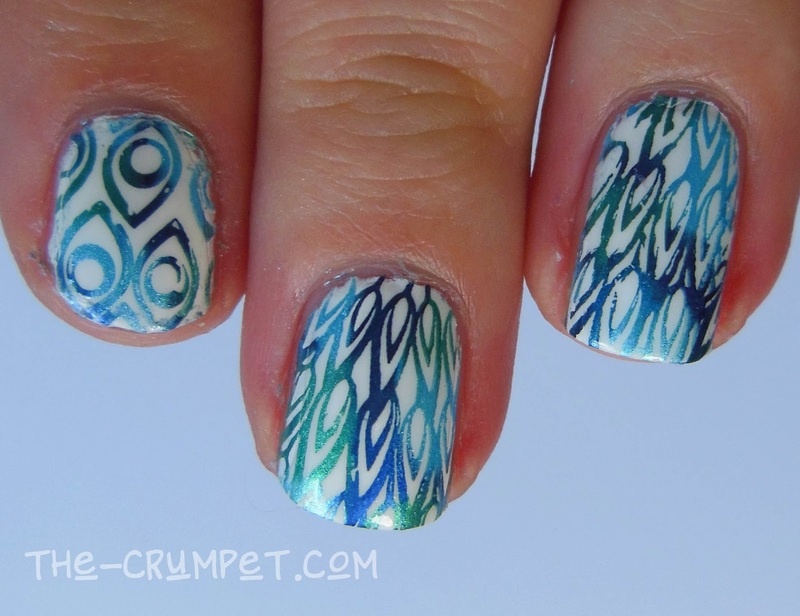 Next I used the other 3 polishes for a peacock design - again, these come from BM-XL08. These polishes work really well when you blend them, and as you can see on the thumb nail, they hold the line - they didn't bleed into each other when I striped them on my stamping plate. 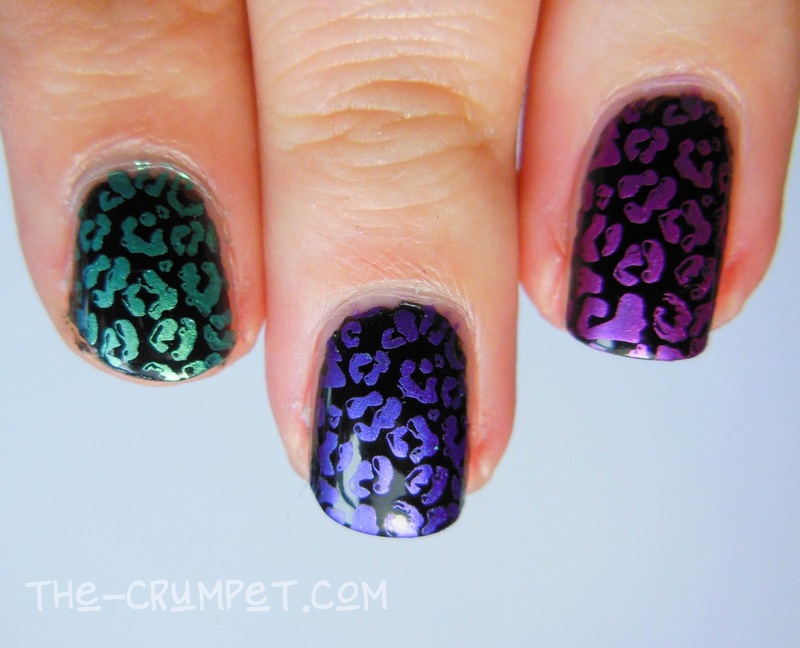 Finally this epic leopard print using UberChic Out Of Africa 01. 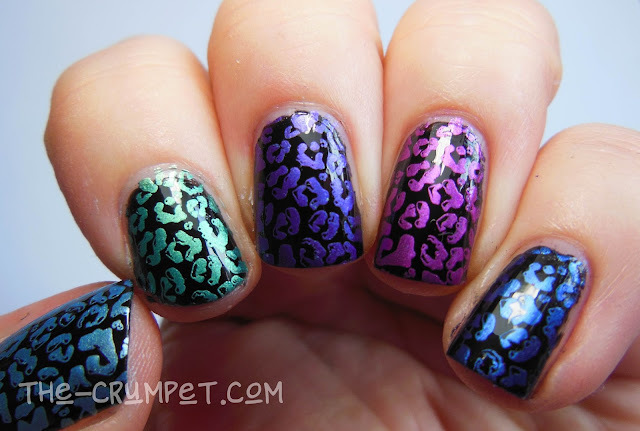 I did this specifically to test how they stamped over black - as you can see, they triumphed! 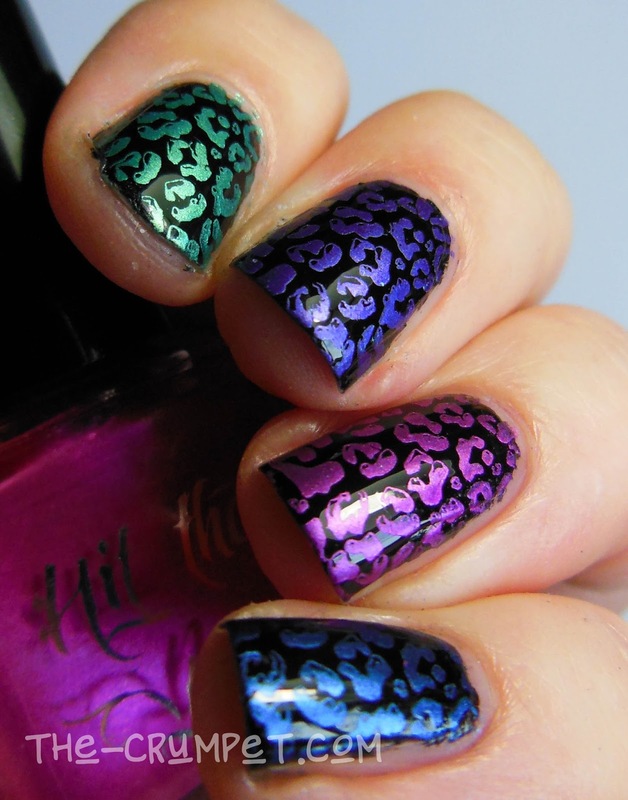 These polishes were great to use. 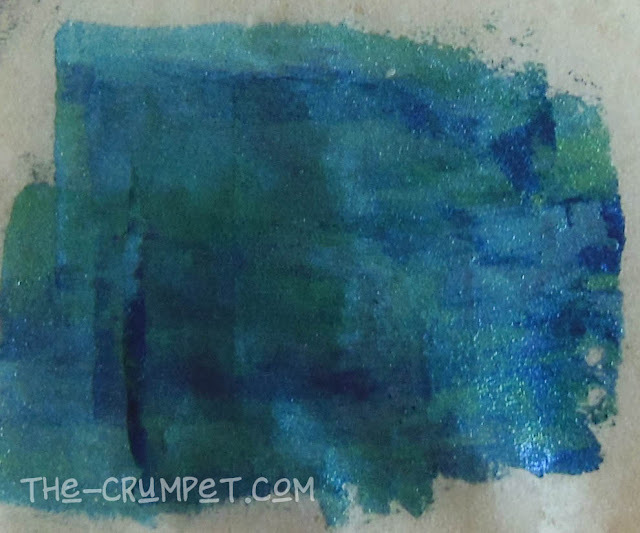 I had a little trouble with the purple, but that might be me - maybe I didn't shake it enough, or maybe my desk fan was a little too blowy for its liking. Either way, the other 4 polishes were effortless to use. You can find Hit The Bottle (great name by the way, isn't it?) HERE on Facebook and for sale HERE. These polishes were sent to me for my honest review by the UK distributor, Nail Artisan by Alex, who you can find on Facebook HERE - and go shopping HERE.